Now here’s the thing. I’ve bitched about toddler groups. I’ve moaned about tantrums. So the heat is really on to keep this child of mine entertained. And seeing as his becoming a brain surgeon is pretty much my retirement plan, it needs to be educational as well as fun. I do like to multi-task. She’s here to help me, and of course you delightful bunch, with her invaluable Nanny advice on games to help toddlers learn. She’s going to divulge some invaluable tips on easy games you can play at home without having to fork out for a bunch of stuff (and fill your house with more kiddie crap!). Yep, how lucky are we. The advice of an actual professional Nanny without having to pay for a thing. Bloody hell, we’re getting dead fancy. I didn’t realise what a mother was until I became one. When I was a child, you were someone who took charge of all the things and told me I couldn’t stay up late playing Barbie Rock Star. In my heart I was grateful you were always there with your hugs and your patience, but I didn’t realise it then. When I was a teenager, you were someone who nagged about short skirts and said no to bad boyfriends. In my heart, I was grateful you showed me how to be strong and brave and to believe in myself, but I didn’t realise it then. When I grew up, you became a best friend. I was growing into you – we liked the same things. We scavenged at flea markets, fought over bargains, shared inspiration. But that wasn’t all you were. I didn’t realise it then. Now that I am a mother, though still new, I begin to sense what it means – the sheer enormity of what you have given. It’s World Poetry Day today, so I hope you don’t mind if I share this poem with you. I began writing it in the last few days of my nan’s life; it’s her funeral today. My nan was in her nineties, a fiercely proud Italian and about the most headstrong of characters you could ever wish to meet. She loved unconditionally and went down fighting; a real Trojan of a woman. I don’t know much about poetry and don’t usually write it. The opening lines just appeared in my head on my way to visit her for what I knew would be the final time – she was too ill to soldier on. Then when I sat down to work on the poem, the words just flowed. Sometimes writing is like that. You don’t know what you want to say until the words emerge on the page. That’s part of the magic. I’ve got to say, this toddler tantrum malarkey has pounced on me like a mugger from a bush. I mean, I’d heard all about these terrible twos, but give me a break. My kid’s barely one! There’s no doubt about it – toddlers are angsty little suckers. It’s like they have all the “why the hell are you getting in my face” rage of a teenager, but with an even worse ability to express themselves. At least teenagers can talk (well, grunt). It seems like it’s all going on for these toddlers. Teething, the dreaded leaps, having to learn to do ALL OF THE STUFF. No wonder they get ranty. Now I don’t know much about much, but I’ve been trying out a few tricks in the interests of trying to keep my sanity in the eye of the storm. So I thought I’d share what works for me. So, wait, what? 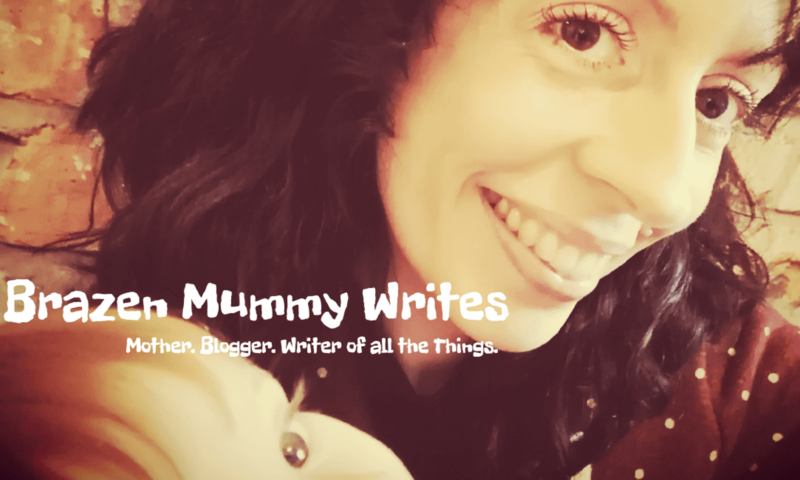 Brazen Mummy Writes has won an award? Says who?! I'd love it if you'd join the gang! Enter your email address to subscribe to my blog and I'll email you when there's a new post to read. Copyright © 2019 Anita Faulkner. All rights reserved.